Over the weekend, Microsoft teams accompanied by United States marshals raided buildings and seized hundreds of web addresses to shut down a major botnet syndicate. The sting was part of a civil suit brought by Microsoft—because it was tired of waiting for law enforcement bodies to act. The New York Times reports that the raids were masterminded by Richard Boscovich, "a former federal prosecutor who is a senior lawyer in Microsoft's digital crimes unit." Botnets—collections of compromised computers used for malicious purposes—are notoriously hard to take down. 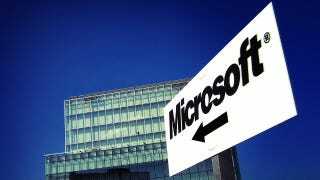 "On Friday, Microsoft was attacking its most complex target yet, known as the Zeus botnets. The creators of Zeus offer their botnet code for sale to others and, depending on the level of customer support and customization of the code that clients require, charge them $700 to $15,000 for the software, Microsoft said in a lawsuit filed in federal court in Brooklyn on March 19. "Microsoft does not believe the operators of the facilities it raided on Friday, which rent space to clients on computers connected to the Internet, are in league with the people behind the botnets. And those operators said they had no idea that equipment inside their facilities was being used to issue commands to Zeus."